Visit our 2nd Annual Sip & Shop December 4th & 5th! Join us for our 2nd Annual Holiday Sip & Shop! The event will take place on Wednesday, December 4th and Thursday, December 5th from 3-7pm in the Delavan Center Art Gallery. We’ll have holiday shopping and crafting stations, hot drinks and sweet treats from Recess Coffee and The Sweet Praxis, and a fun holiday photobooth from Amelia Beamish Photography. Plus, if you bring a donation (funds or non-perishable food items) for Food Bank of Central New York, we’ll give you 15% off your entire Smock purchase! 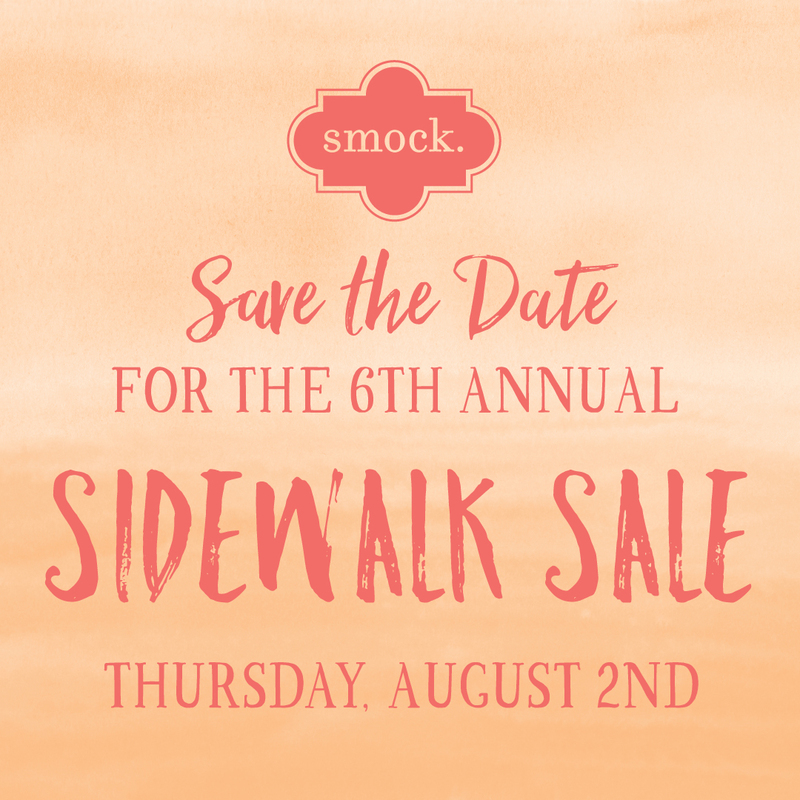 If you had fun at our Sidewalk Sale, you won’t want to miss this event. Be sure to RSVP to our Facebook event to receive updates and news as the event gets closer. We hope to see you there! Visit Smock at the Buy Local Bash on November 25! We can’t wait to be a part of the 2013 Buy Local Bash! This year’s event is being presented by AmeriCu Credit Union and supports SyracuseFirst, an amazing organization that helps promote local businesses in the Syracuse area. Come out for a night of fun — the Buy Local Bash will feature live music, local artists, indie retailers, and lots of delicious local food & beverages! The event will take place on Monday, November 25 from 6-9:30pm at The Most and tickets are still available. 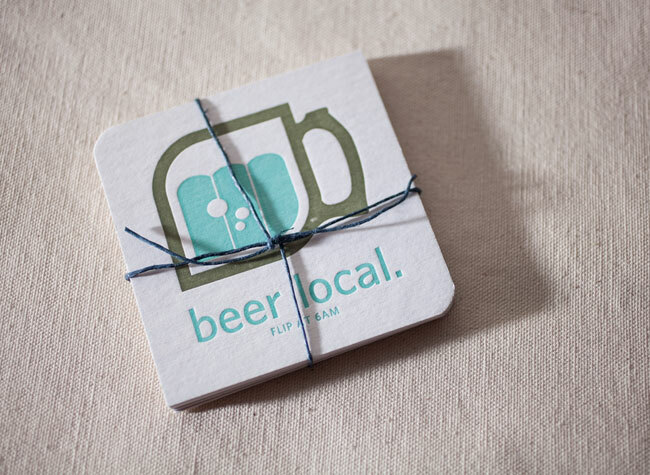 We’ll be selling exclusive coasters to benefit SyracuseFirst, too, so be sure to stop by and see us at the event! The Delavan Center Open Studio + Holiday Sale: Friday, November 8 from 5-8pm and Saturday, November 9 from 10am-4pm. 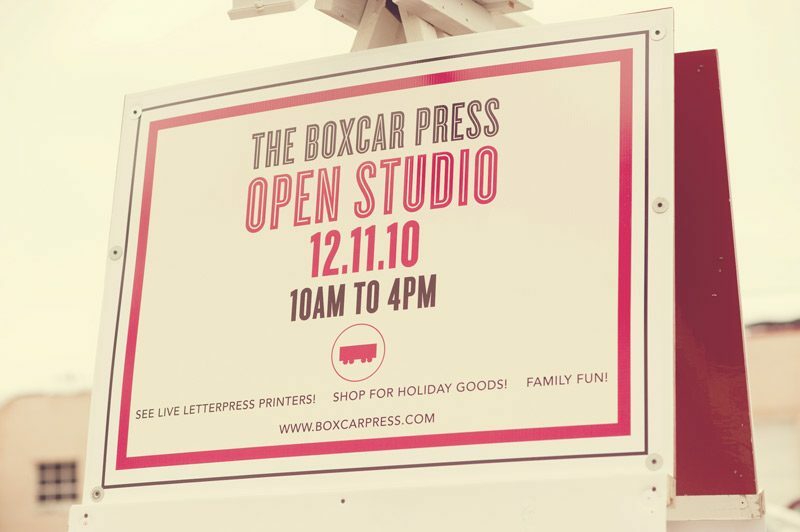 Come take a tour, see presses in action and stock up on your favorite letterpress goods in our Delavan Center Studio! Over 40 other artists and businesses in the building will also be open for the event, so be sure to stop by and see in us in Studio 135. The event is free and open to the public! RSVP on Facebook to receive updates on the event. Buy Local Bash: Monday, November 25 from 6 – 9:30pm. Visit us at The Most for the 4th annual Buy Local Bash! 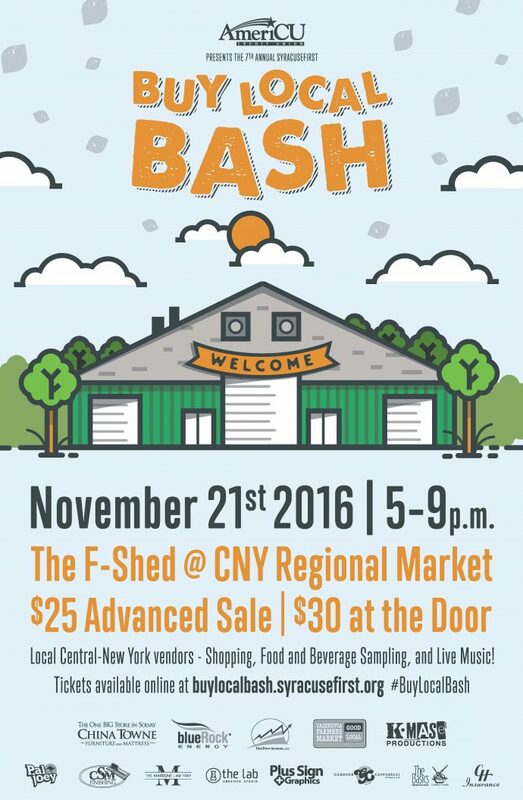 This event is sponsored by Syracuse First and will feature live music, local artists, indie retailers, and lots of local food and beverages. We’ll have some of our Syracuse First coasters available for sale (100% of the profits benefit Syracuse First) along with holiday cards and gifts. Be sure to visit Syracuse First for more information on the event and to purchase your tickets today. RSVP on Facebook to receive updates. 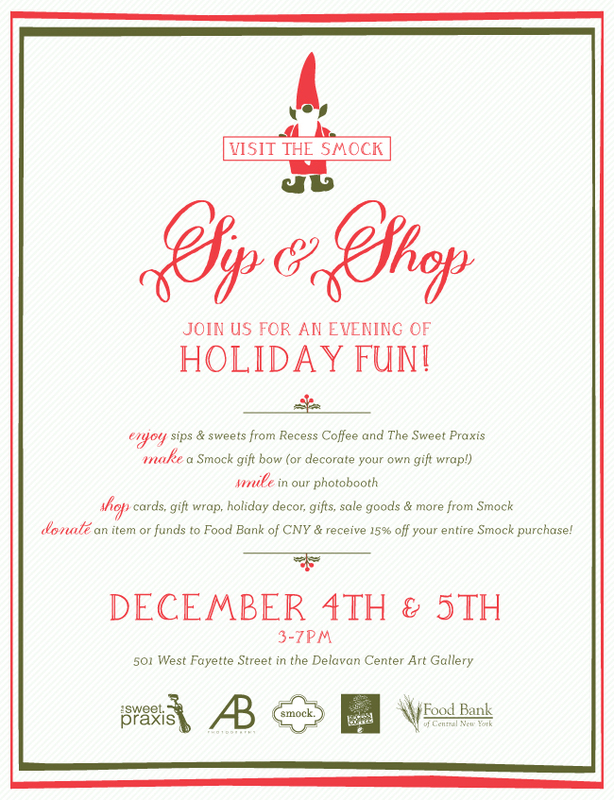 Smock Sip & Shop: Wednesday, December 4 and Thursday, December 5 from 3-7pm. Join us in the Delavan Center Art Gallery at 501 West Fayette Street for two evenings of holiday fun! We’ll have tons of holiday products available — gift wrap, keepsake gift boxes, letterpress holiday cards, and exclusive, limited-time holiday garland — and you can save 15% if you bring in a canned food item for donation! We’ll have DIY holiday crafting projects along with sips & sweets from some of our favorite local vendors. Don’t miss out! If you had fun at our Sidewalk Sale, you’ll love this event! We’ll be sure to update this page with more information as it becomes available! Find Smock at the Syracuse Pepper Market! 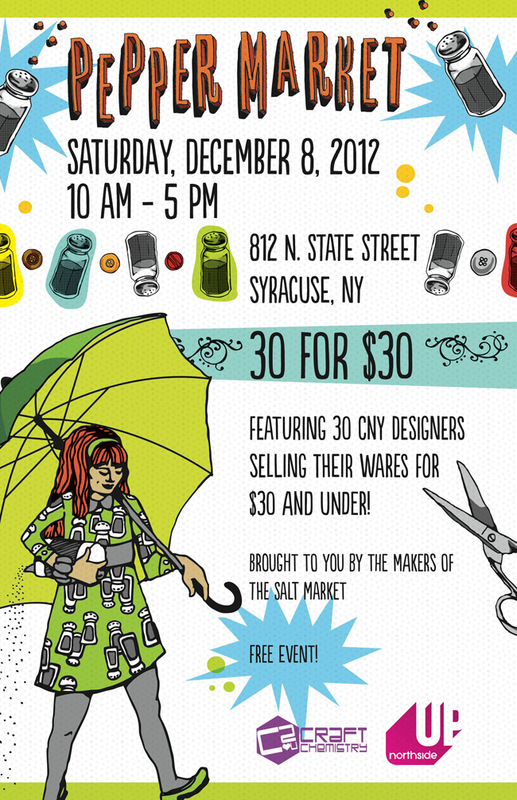 If you live in upstate New York, come visit us at the Pepper Market this Saturday! 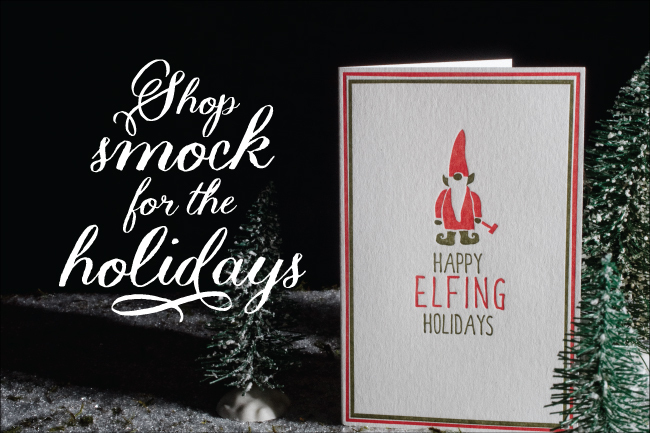 We’ll have a great mix of Smock goods for sale (including letterpress holiday cards and our double-sided gift wrap!) and you’ll have the chance to support other local CNY designers. We hope to see you there! Visit the Smock Holiday Sip & Shop Event! 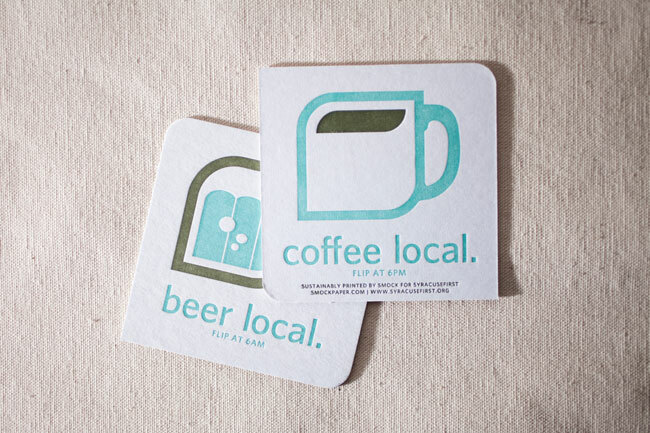 If you love letterpress and live in the Syracuse area, stop by our shop this Thursday, November 29 from 4-7pm! We’ll have complimentary sweets and holiday stationery goods for sale, and we’re giving away a free gift when you spend $25 or more! We hope to see you there! A few weeks back we hosted a really fun open studio here at our Syracuse, New York print shop and we decked the place out in all of our Smock finery. We thought you’d like to take a look! We invited the local public, media, clients, vendors, friends, family and anyone with an interest or passion for printing and the arts to come pay us a visit. In return, we had printing demonstrations, tours, giveaways, an excess of sweets and goodies from a local bake shop and loads of letterpress fun. The Smock team came together to craft DIY paper chain garlands for the Christmas tree and we strung colorful paper bunting from the cross beams in our cool industrial office space, all of which were created from our gift wrap. For the first time ever we set up a little retail shop for Smock Everyday here at the studio and had more fun than you know introducing local friends to our greeting cards, gift wrap, gift boxes, and paper goods. All told we had over 300 people come out to pay us a visit! It blew us away and we couldn’t be more excited to welcome everyone back again next year. 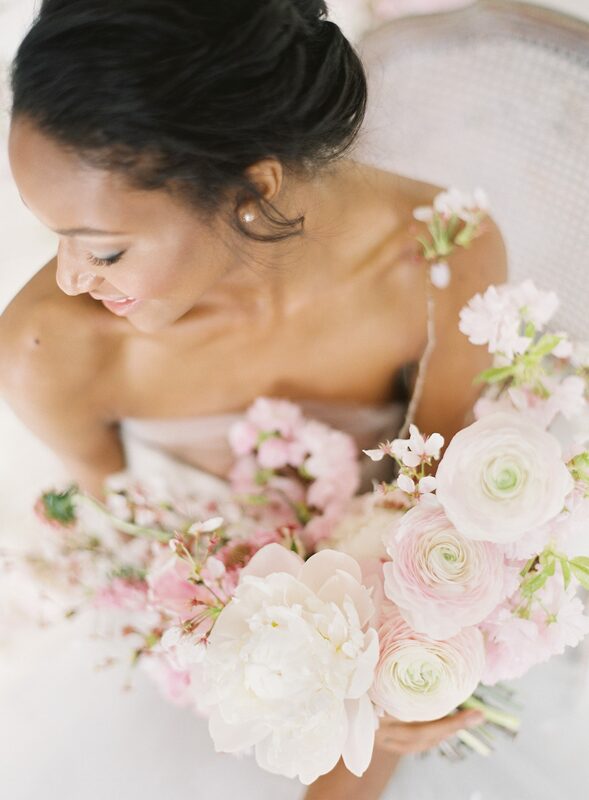 Huge thanks to our friend and local wedding photographer Alice G. Patterson for capturing these special moments for us. We are honored to have the friends that we do and we look forward to making this an annual event. Stay tuned for 2011! 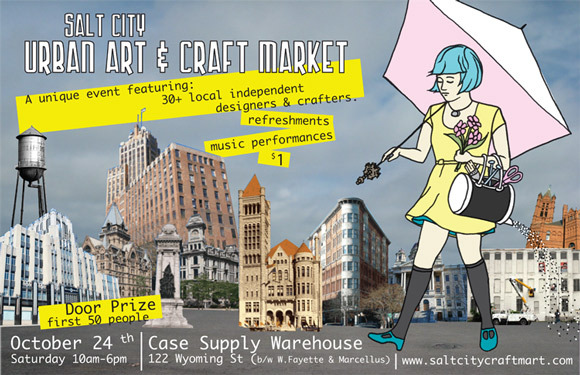 When we first heard about the Salt City Urban Art & Craft Market, we were excited. Really really excited. And then we learned that the market was taking place right here in Smock’s neighborhood in downtown Syracuse – and that so many of our favorite talented local artisans were participating – and we literally jumped for joy. So if you’re here in Syracuse this weekend on Saturday, October 24 – or even if you’re a short drive away – you can’t miss this. Salt City Urban Art & Craft Market is going to be an exciting marketplace for local and regional independent artists, designers, and crafters to showcase their work. It’s all about bringing fresh, fun and unique handmade goods to the public. There will be music, door prizes, and some of the area’s most talented artists, designers, crafters, jewelry makers, and artisans. All under one roof. We can’t wait. 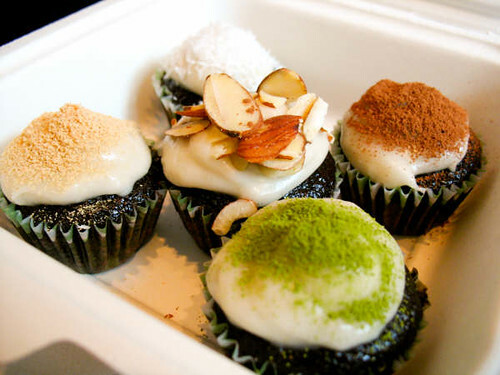 We’re completely excited with the depth and variety of vendors participating at Salt City. Some of them are even our favorite designers with studios right here in the same old warehouse turned artist’s haven that Smock calls home! From book binders to stationery lines to fashion designers to potters and blown glass aficionados, there will be something for everyone. It may just be the perfect time to check a friend or two off your holiday gift-giving list! Above, just a small sampling of what’s in store at Salt City. Fun and adorable organic baby and yoga wear from babybe and we love the beautiful jewelry from after winter. Unique prints and drawings from Anne Slattery | Tilting Press and beautiful hand-bound books from Amaranth Press. The funky, fashionable handbags from Lilipad Creations are a favorite with the ladies here at Smock – we all have at least one! And bright polka-dotted bowls from Luckalilly are definitely on a few holiday wish lists around here. Consider us completely inspired. If you’re not in the Syracuse area and interested in finding out about cool indie craft fairs in your area, check out Handmade Nation and their listing of indie markets on the Handmade Nation blog – scroll down for a listing of indie craft fairs on the right sidebar. And if you are in Syracuse, make sure you get to Salt City this weekend. 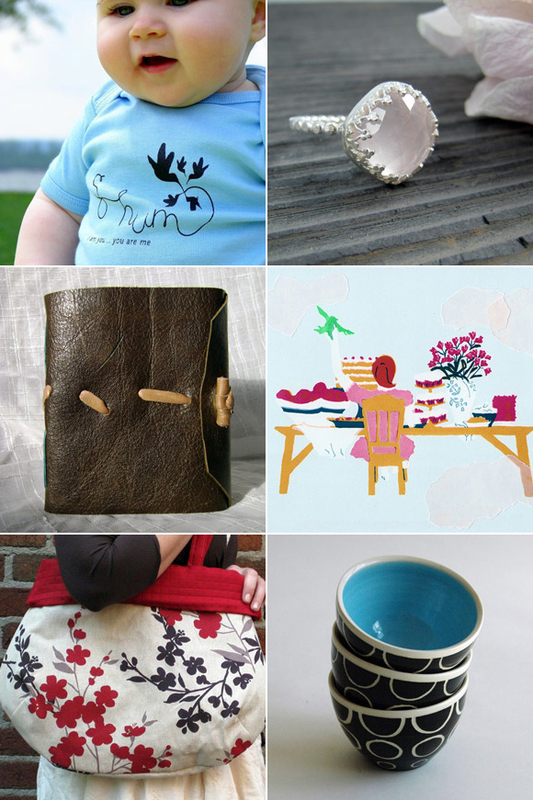 With the impressive lineup of inspired artisans who will be exhibiting, you won’t be disappointed. 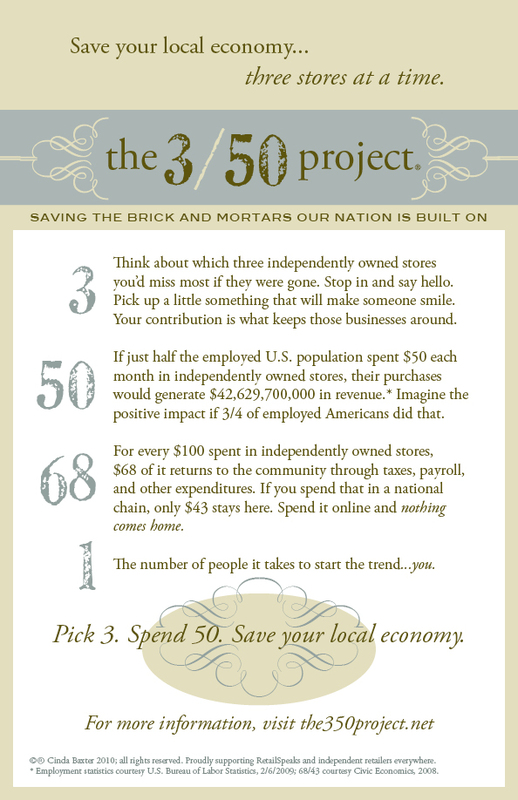 Smock is proud to support The 3/50 Project, an independent movement aimed at saving the local shops and stores that make our communities unique and our local economies stronger. Have you taken the 3/50 pledge? Jump in and add your name to the list in support of the 3/50 movement today! If you’re in the market for a great read, visit Second Story – One billion books on Amazon? Overwhelming. A beautifully curated selection of novels, poetry, nonfiction, magazines, and even a few cookbooks? Much more calming. Plus this place has great sandwiches, teas and smoothies. In love with a great cup of tea? 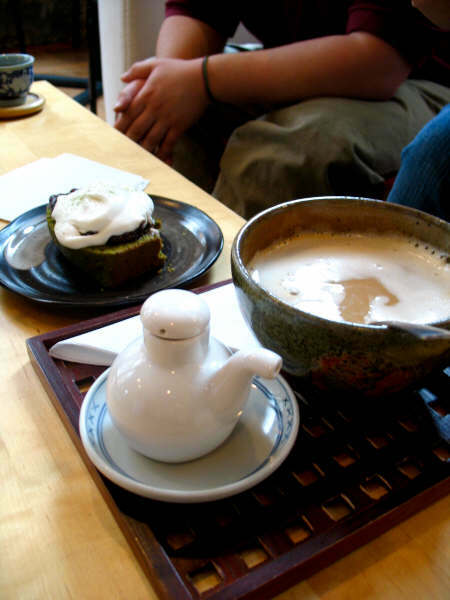 Don’t miss Roji Tea Lounge, one of downtown Syracuse’s true gems. If you’re a tea junkie, you can buy some of the best loose teas ever here to take home…or simply enjoy the calming atmosphere, vegan deserts, fabulous music, and really, really good tea. Bubble tea too! We have a bunch of chocolate lovers here at Smock so we highly recommend Sweet on Chocolate – chocolate makes some of the sweetest gifts, and this cute little shop – only a few minutes walk from Smock’s print shop – makes the best dark chocolate truffles ever. 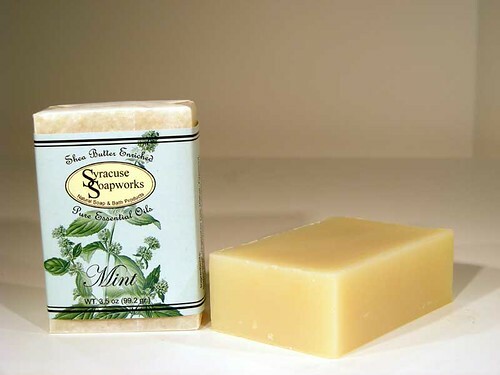 If you’re searching for the perfect Mother’s Day gift or really a gift for any occasion, you have to visit Syracuse Soapworks. Located just a few blocks down the street from Smock’s print shop, their soaps are fragrant and amazing. When you realize your entire house looks like an Ikea showroom, Smith Interiors is the place to go for slightly more upmarket modern furniture. We try to stop by this place every so often just to oooh and ahhhh over the cool lights and crazy cool couches. What are your favorite shops in your community? Share them with us so we can visit if we’re ever in town and be sure to pay a visit yourself sometime soon. If you’re looking for cool stores that carry stationery/invitations in your own town, check out our list of great shops that also happen to carry Smock invitations & paper goods. And, don’t forget to visit The 3/50 Project and start spreading the word to help support local shops!